Give yourself room to grow. studio, lab, home or office. closed loop liquid cooling and multi-GPU. Want more choices? Customize an air cooled desktop from scratch. See what desktops we recommend for a variety of uses. Learn more about our Peak HPC workstations and servers. See the lastest posts from Dr. Kinghorn, our resident HPC expert. Want more choices? Customize an air cooled server from scratch. Learn more about our server options and capabilities. Built by Puget Systems. Designed by you. At Puget Systems, we want to provide the best product and experience as we can. This means that we do not use pre-packaged server systems, but instead build our own rackmount and tower servers. This allows us to design, test and optimize our own configurations from the ground up. The result is our Summit line of servers. You tell us what you need, and we'll go to work building you the best computer server customized specifically for you. 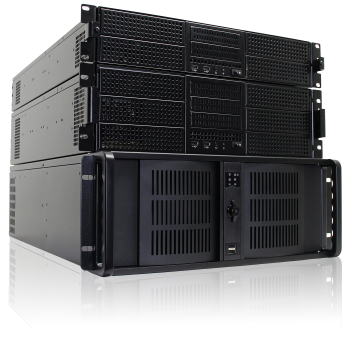 Flexible and high performance, our Summit Servers can meet a wide range of needs. 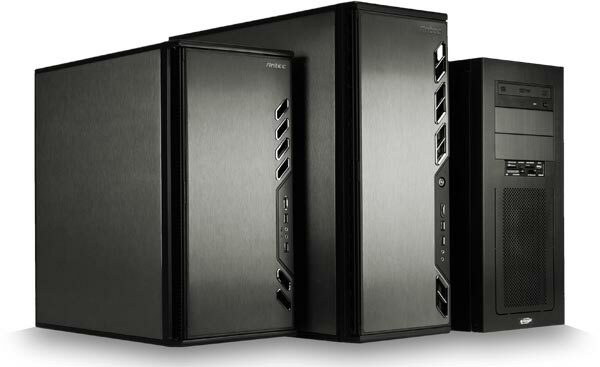 With support for up to 20 hot swappable 3.5" drives, our Summit Storage series have the capacity you need. Want more options? Our custom servers allow a wide selection of choices to meet the needs of your unique application. The Five-Nines in 99.999% uptime doesn't happen on accident. We know the hard work and planning you do to provide end users with a trouble free experience. Let us help you succeed. The Summit series was created with you in mind. We know you don't have all day to swap out failed components troubleshoot, and babysit your systems. That's why we qualify every component that goes into the Summit series. We value choice, but not at the sacrifice of quality. So, rest assured that no matter what configuration you select, the components will be of the highest quality on the market, right down to the production run. All our research, testing and component selection would be for nothing if we didn't treat the actual assembly of our systems as a craft. A craft you say? Yep. Each system is hand-crafted by a single technician. You won't find a single assembly line or build quota at Puget Systems. Throwing these carefully selected pieces in to the case without thinking about how it will be used, serviced, shipped, moved and stored would be, well, a terrible idea. We want to be a place where our products aren't just admired for their benchmarks. We want them to be admired for the simple sophistication, inside and out. Every system must pass over 100 quality checks during the build process and, after a thorough burn-in process, a complete quality control check. All of this, virtually before your eyes, with our up to-the-second checklist display available right in the My Account area. Transparency is one of our core values here at Puget Systems and nowhere is that more apparent than in our openness in distributing well researched and vetted hardware articles. Puget Labs was created to crack down on the marketing hype that, frankly, we despise. Part of our mission is the creation and dissemination of reliable information about products in the market. This information is what we use to determine our own product offerings, so we need them to be frank and reliable. Some might think this would be good information to hide; not so here at Puget Systems. We believe in informing and conversing with our customers about the products we offer and the market in general. What can we do to help you cut through the hype? 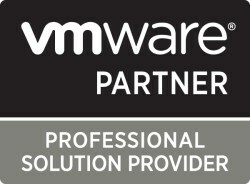 Puget Systems is a certified VMware partner, and we have designed our Summit Servers to be ready for virtualization. Configure - Customize your own server from scratch. You're choosing from the best, because we only sell products we recommend and stand behind. Refine - Let us save you money! Work with our experts to find the best choices for your needs and your budget, to give you the best bang for your buck. Purchase - Place your order on our secure website. Buy a server with complete confidence from our reviews and testimonials. Track - Follow your order in real-time through our extensive checklist, and receive a tracking number by email. Most orders ship in 10-14 business days. Build Your Own PC | Site Map | FAQ - © Copyright 2019 - Puget Systems, All Rights Reserved.